Some analysts have grappled with how quickly the smartwatch market will grow in coming years, but Apple's entry into the space has helped firm up some outlooks. Apple debuted the Apple Watch on April 24, and shipped 3.6 million units in the second quarter, according a recent release from IDC. That put Apple in second place, behind Fitbit, which shipped 4.4 million wearable devices. Fitbit isn't selling smartwatches, and its wares instead fall into what IDC terms "basic" wearables because the fitness bands don't run third-party apps. "Smart wearables" like the Apple Watch can run third-party apps. When Apple Watch is compared only to other smart wearables, it took about two-thirds of the total market in the second quarter, IDC analyst Jitesh Ubrani said. Ubrani also predicted that basic wearables like Fitbit will see a decline in market share in the next few years. Shortly after announcing its second-quarter findings, IDC also announced a forecast for all types of wearables that shows a 23% annual growth rate for the next five years. 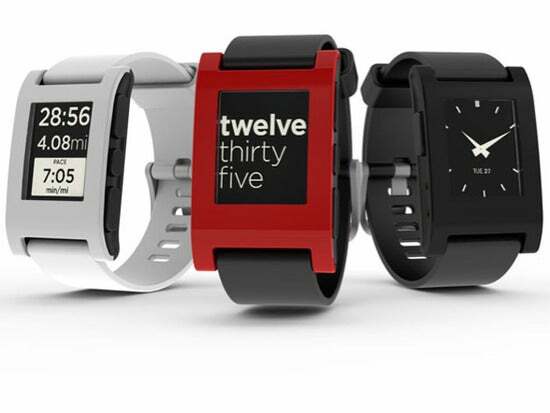 Around 28.9 million wearables shipped in 2014; IDC said that number will reach 76.1 million in 2015 and then 173.4 million in 2019. Ubrani said that smart wearables make up one-third of the total wearable market today, but will surpass basic wearables in 2018. Competitors to the Apple Watch include the Moto 360 from Motorola, Samsung's Gear S-series and Pebble's Time. While smartwatches have so far been focused on providing notifications to users, they will move to become a more advanced wearable computer -- even one more independent from a smartphone than today's batch, IDC said. Of course, smartwatches are still in their early stages, and shipments are tiny compared to the expected 1.4 billion smartphones to be shipped in all of 2015. Apple's release of WatchOS 2 as a free update on Wednesday is expected to enhance Apple's position in the market, IDC said. The update offers new features and native third-party apps, which will help the apps run faster and be more fluid, according to Apple. Even with Apple's early success, IDC said its WatchOS share of 58% of all smartwatches in 2015 will shrink to 47% by 2017. Android Wear will grab 17% of market share in 2015 and then soar to 38% in 2019, but will still be second to Apple, IDC said. The Pebble OS will drop from a 8.7% share to 3.1% over the same period, while Tizen, championed by Samsung, will drop from 6.7% to 2.2%. IDC also said there will be a significant market in coming years for smartwatches running on various proprietary operating systems that IDC simply calls real-time operating systems. This group now makes up 8% of the market and will climb to 9% in 2019.